Can't attend? 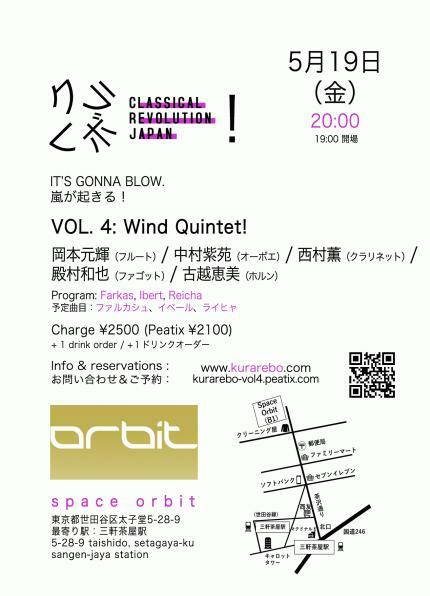 Follow Kurarebo - Classical Revolution Japan (クラレボ) to know of future events! Kurarebo Vol. 4: Wind Quintet!